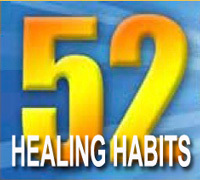 For the past 5 days, we experienced different kinds of healing in many aspects of our life. We were enlightened and changed our personal lives and life as a community. We started to become whole, because by becoming whole we will become holy. And this last day of the Misyong Pilipino in Abu Dhabi for 2010 completes what we have gone through all the nights that we were together. Role of Mama Mary. Being Christians, we cannot separate Mama Mary to us. We cannot just set her aside. We are celebrating the Feast of the Holy Rosary this October. During the Day 4 of the Healing Series, Fr. Arlo discussed about the original design of man is holy and blameless. And the ones who have the privilege to get it were Adam and Eve. And 2nd original design was Mama Mary who is the Immaculate Conception. This was claimed by Mama Mary during her apparition to Bernadette in Lourdes, France. She maintained to be holy and blameless because of her obedience to the Lord as opposed to Eve. Different Names of Mama Mary. But why does Mama Mary has many names? Why is she called Our Lady of Perpetual Help, Our lady of Guadalupe or Our Lady of Fatima? The niece of Fr. Arlo asked these questions. He replied, “How do you call your Mama?” And she said, I call her Mama. The series of conversation went on, How do I call your Mama? You call her Ate Lei. She is the only sister and the most favorite sister of Fr. Arlo. =) How do people call your Mama at the office? They call her Leah. How would her boss call her at the office? He calls her Mrs. Zeta. Imagine one person but different names; this is just the same with Mama Mary. Names of Mama Mary may depend on her role like for example Perpetual Help and Immaculate Conception. They may depend also to the place of apparition like Our lady of Fatima, Portugal where Mama Mary appeared to Lucia, Francisco and Jacinta. Lastly they may depend on the characteristics of Mama Mary like Mary, Virgins of Virgins or Mary, Queen of the Apostles. The litany pertaining to Mama Mary shows her characteristics and the way we understand Mama Mary to our lives. Mama Mary as Jesus’ Mother. Another context is that Mama Mary is not acknowledged by others. But here is practical thought to cite, “If you cannot accept Mary as your mother, how can you accept Jesus as your brother?” It is contradictory to accept Jesus as your brother without accepting Mary as his mother. We cannot talk about Jesus, if we will not talk about the people around him; his apostles and his parents. This case is similar to the priests; you cannot just simply set aside their background. People are asking about their parents, their origin. And with this in mind, we find help from Mama Mary. The Roman Catholic Church is just a part of the whole Catholic Church. The Eastern Catholic Church composed of Greek Orthodox, Alexandrian, etc. were also founded by the apostles. They have extreme devotion to Mary as mother of God. To Jesus WITH Mama Mary. The perception of to Jesus through Mama Mary is quite a narrow issue because it signifies that we cannot go to Jesus without passing through Mama Mary. It is better to say To Jesus WITH Mama Mary. For example, if someone asked you to pray for him/her. Both of you will pray. You will pray for her and you will pray with her. Similarly, Mama Mary will pray for us and she will pray with us. Praying the Rosary. “Ang pagdarasal ng Rosaryo ay hindi panalangin ng nguso, kundi panalangin ng puso”. 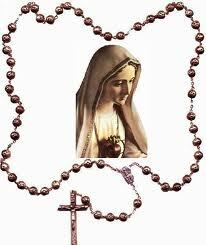 (Praying the Rosary is not a prayer of the mouth, but a prayer of the heart). “Ang pagdarasal ng Rosaryo ay hindi panalangin ng dila, kundi panalangin ng diwa.” (Praying the Rosary is not a prayer of the tongue but a prayer of the mind). The Rosary is all about the contemplation of the mysteries; and in the contemplation you include yourself. To illustrate, on the Mystery of Finding of Jesus in the temple, you may recall and ask yourself, when did I lost Jesus lately? Fr. Arlo shows this when he forgot to say his morning prayers. Another example is the Mystery on the Resurrection of Jesus, when you forgive and forget those people who hurt you; you are resurrected and alive again. The Holy Rosary will enrich you life if you contemplate on it by including your own experiences while going through the mysteries. The Rosary is meant to be Christ-centered. It is all about the glory of Jesus. On Confession. A classmate of Fr. Arlo in college asked, “Why are the Catholics confess their sins indirectly to God”. Fr. Arlo illustrated his answer through this: There is a wooden bench and a protruding nail. The nail signifies the sins. If you want to remove the nail, you need to use a hammer. Is the hammer or the one who use the hammer will remove the nail? Definitely the one who uses the hammer is the driving force that will remove the nail, because the hammer is just an instrument. Similarly, the priest will not forgive your sins. You confess your sins directly to God using the priesthood of the priest as your instrument. His classmate continued, “How can you be an instrument if some of the priests have many sins and unclean as well? That was a good question. Fr. Arlo admitted that priests have sins also, but he replied, “Do you clean your house? Yes. “What do you use in cleaning?” Broom and a dust pan. “Is the broom clean?” No. Still, the broom (priest) which is the instrument is not clean, but the one who use the broom is the one who cleans. His classmate threw another question, “Why need an instrument if you can do it alone?” Fr. Arlo cited another example where a student gets P300 from his mother to buy a school project. Unfortunately, the money was misused. When the student went home, she saw her mother sweeping. Will she say to her mother that the money was wasted? It is hard to tell it. You can make it up by doing the chores but still you need to verbalize it. Likewise, you need an instrument (priest) in order for you to verbalize your sins. In addition, you need the priest so that God can verbalize the forgiveness of your sins. In relation to this, if you do not believe in instruments, why some believe in using pastors? This is a matter that should be thought of. Fr. Arlo shared a story last August, 3 years ago about Rica, a professional singer who gave up her career and sing for the Music Ministry of Oasis of Love. Rica is married to Romy. Their eldest child Princess, a 2nd year college nursing student suffered from Dengue. She only got 17,000 platelet counts, far below the normal 150,000 platelet counts and she was dying. The doctor advised the couple to have their daughter undergo bone marrow transplant. The procedure is very costly and might leave a painful trauma to Princess. The couple sought a second opinion from their friend doctor. They were told that the procedure is only for last resort, and they can speak to Princess’ doctor to have her under observation for 3-4 days. If no progress observed, they can wend on the transplant procedure. The doctor agreed but on the condition that the blood monitoring devices will be removed. They were so depressed and they cannot do anything. Fr. Arlo told Rica that she is serving the Lord through singing. In return, she can demand the healing of her daughter to the Lord (In Filipino: “Pwede syang maningil sa Diyos”) This is how she prayed. “Lord, you owe me; I sing to you, I gave up everything for you. I demand that you should pay me in return”. The next morning, a very beautiful nurse who’s face is half covered went to the ward and without a word get a blood sample from their daughter. Princess told her parents that it was the first time that she have not felt any pain in the process. The couple asked the people at the nurse station about the nurse, but the station told them that they have not requested anything. They went to the laboratory, and they confirmed that the samples were brought by the nurse but she just disappeared. The following day, she got 149,000 platelet counts and the next day, she was discharged from the hospital. Demand anything from the Lord especially if you are serving him, especially if you are honest, especially if you are not hurting anyone. Fr. Arlo shared another story about his classmate in seminary named Pocholo Murillo. Pocholo has invested in a hotel in Boracay named Hanna’s Hotel. Most of his clients are church workers. His help to the church is to serve the church workers by getting from them reasonable accommodation fees just to break even. It was the same year; Fr. Arlo was on his way going to Radyo Veritas to have a mass when his classmate called him. Fr. Arlo was surprised because Pocholo was crying on the phone given the fact that this guy is really masculine because of his strong built. Pocholo said while sobbing, “Classmate, are you busy?” “We are here in Cardinal Santos Hospital, Hanna has Dengue and the doctor said that she is dying”. Fr. Arlo went to the hospital and found Hanna on the bed having hard time to breath because of the fluid in her lungs. Fr. Arlo told the story of Rica to Pocholo and they prayed together. Pocholo while crying prayed, “Lord, I am good to you, you owe me.” He was demanding to the Lord (Siya ay naningil sa Diyos.) In the afternoon, after a week of not eating, Hanna asked for solid food. When she got her x-ray, they found that the fluid in her lungs was gone. After 2 days, she was discharged. If you believe that you are good in front of the Lord, if you believe that you have faith in Him, if you look for ways to become closer to Him, you can demand anything from the Lord. 1. He will say YES. What you are asking will be given to you, because what you asked will be for your good. And if it is given, do not abuse it. Do not mishandle it and just hold on to it tightly. This is what happened to the prodigal son in the Scripture; the younger child went to other places after getting his inheritance and squandered all the money. Similarly, if you have asked for work and it is given to you. The Lord wants you to love it and value it. Do not waste the blessing that God gave to you. The passage “Do not put the Lord your God to the test” is like doing something bad and you are asking for God’s blessing. Getting money without the consent of your boss and you pray that He will help you not to be caught is a clear example of putting the Lord to the test. 3. He will say WAIT. To test your perseverance and patience in praying and faith because in his time everything will become beautiful. In his time, it is also the right time for all, so never give up praying. The life of St. Monica is the best example of patience in praying. For more than 25 years she was praying for the conversion of his son and husband. Finally, his son who also became a saint, St. Augustine had his conversion. 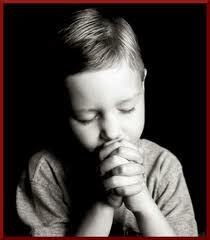 All of us should be patient in praying, do not give up especially if you pray thy will be done. The Lord might answer your prayer faster. He then explained it using one sheet of paper cut into portions, There is only one God in three persons. God the father, God the son and God the Holy Spirit. When God created the world he created man, and He sent Jesus. When Jesus was taken up to heaven he sent the Holy Spirit. They put INRI in his head which means Jesus of Nazareth, King of the Jews. For the Jews, it was an insult to have a king that his crown has thorns instead of gold, his jewelry is rusty nails instead of diamonds, and his throne is rough wood instead of high quality materials. That time, the people were laughing below Him. But they were not contented. They put a spear at the side of Jesus; the heart was pierced where blood and water flowed. And that started our devotion to the Sacred Heart of Jesus. Still not contented, the soldier used the dice and gambled on the cloth of Jesus, His last possession. This is the scenario of the Calvary, but the story does not end there. We claimed that Jesus is our King, He is our savior. He is our friend. He is the son of man, Jesus is our God. He gave us life and thought us how to live and love. And if you will remove Jesus it becomes hell. All people who are suffering without Jesus really looks like hell. On the contrary, the sufferings become easier because of our faith. 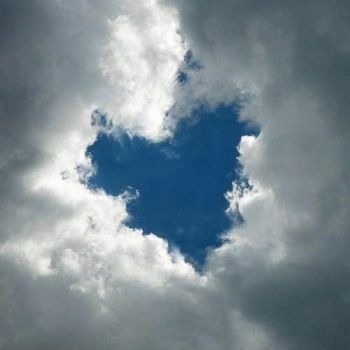 The sufferings become light because of the Love of God. Bring back Jesus to our life and whatever happen just hold on to it. Obey God and do not give up. To summarize the mission in one word, it is LOVE. All these nights that we were together with Fr. Arlo, just remember that it all boils down to the Love of God. Mama Mary is part of God’s Love. The Rosary is our love to God. The Sacrament of Confession is also a love of God. The Filipino Mission is part of our service to the Lord. 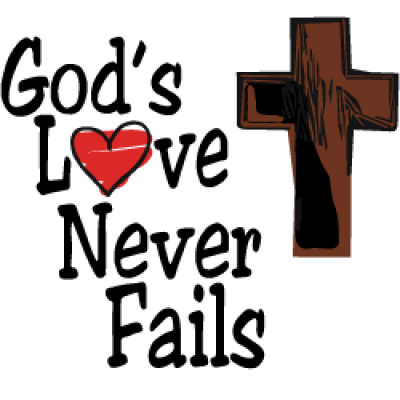 After all if God loves us, whoever we are, we should also love each other and understand one another. This is the essence why we are here. Reflection: How does God’s love manifests in your life? PS. Our dearest friend and kababayan, Santiago Fellone Jr. is at the Intensive Care Unit of Sheik Khalifa Hospital. He suffered from Aortic Aneurysm or abnormal bulging of the aorta last Sunday, 10/10/10. Express God’s love, please include him in your prayers for his fast recovery. Thank you. PS2. My colleague’s 1 month old niece, Mary Alexa will undergo a major operation due to Hernia. Please also extend your prayers for the success of her operation. Thank you.